If you are using Windows Server 2012 you probably are struggling with Microsoft's unsuccessful experimental menu - Metro. 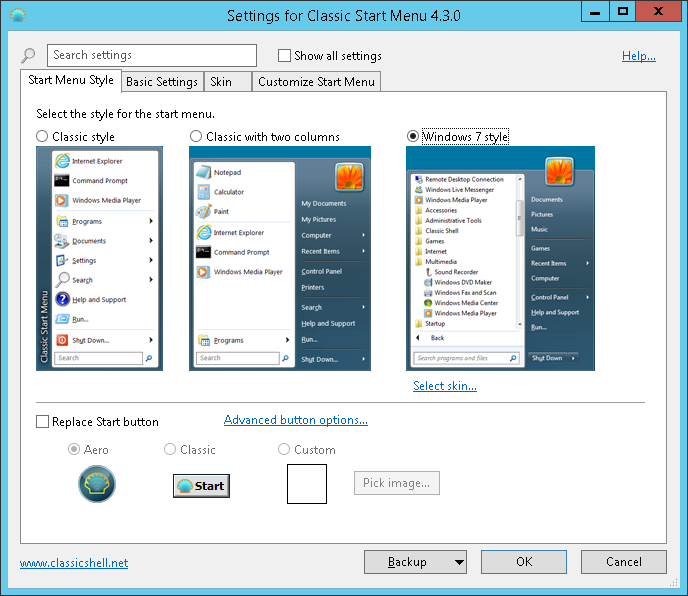 However there is quite easy way out and in this tutorial you will find it, it is you will learn how to get back the Classic Start Menu. 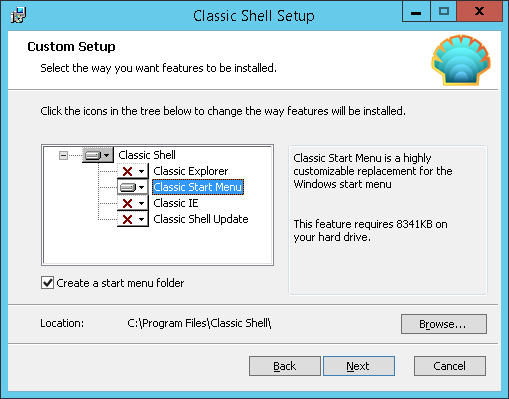 For this we will use third party application called Classic Shell. It's free software that improves productivity, enhances the usability of Windows and has lots of useful features. However on this tutorial we will use only one of them - Classic Start Menu, but you are welcome to check all other of their offered futures. After installation is completed press "Menu" icon in bottom left corner (if you did not change position of toolbar) and Settings Window for Classic Start Menu will be opened. Select menu style, skin, button style and all other parameters you like most and simply press "OK" button for changes to take effect. That's it, you have nice, simply and most important fully customizable Classic Start Menu. Note: If you want to change some settings press right mouse button on Menu icon and select Settings. Within only few minutes we manged to make usability of Windows Server 2012 much easier. However you are able to do much more with Classic Shell, so I recommend to try out more of it's features.